Curated Place invited Sola to Bury to reimagine the public spaces of the town by working with young people's mentoring project BAM Creatives. 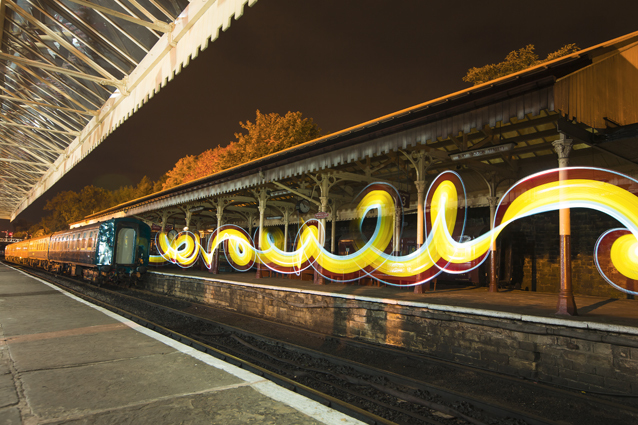 Capturing the town's spaces in his signature style, whilst training BAM creatives in his techniques of light painting and urban interpretation. The final images were showcased in industrial light boxes around Gallipoli Garden. Sola has a background in fine art, street art, and has been a professional photographer and light artist for 15 years, working on projects that range from community and arts projects (Lightfest Birmingham, City of Colours, Yourope Festival) to worldwide advertising campaigns (including Harvey Nichols and Nike). BAM Creatives is a new initiative from Bury Art Museum (BAM) for 16-22 year olds. Whether it’s mentoring sessions; practical workshops; meeting professional artists; or the chance to organise an event, exhibition or performance – the BAM Creatives project can support young people to make it happen. Part of the permanent Irwell Sculpture Trail Ron Silliman’s neon text piece features a line from the American poet’s original work, Northern Soul, written after a visit to Bury in 2009. The work is a homage to the great Chico Escuela, is a part of Wharf Hypothesis, which itself is the opening movement of Northern Soul. The poet is certain this is the most read publication he will ever produce. Ron Silliman, a major figure in international poetry, worked on his single huge poem, the Alphabet, from 1974 to 2004. He is now working on a second long poem called Universe of which Northern Soul forms part. The Optikit is a light based modular synthesisor that uses spinnging cut paper disks to produce tones, beats and mixing control. It can be used either in a performance or run autonomously as an installation. We will work in collaboartion with The Owl Prpject to develop v2.0 of the project preparing the hardware for touring, developing the presentation of the work and giving the public the opportunity to laser cut their own optical sound discs inspired by the Bury Archives, landscape and urban environment. This project will grow into a major new proejct in 2018 bringing in a composer to work with the Owls on a new performance instrument. Owl Project is a collaborative group of artists consisting of Simon Blackmore, Antony Hall and Steve Symons. They work with wood and electronics to fuse sculpture and sound art, creating music making machines, interfaces and objects which intermix pre-steam and digital technologies. Drawing on influences such as 70’s synthesiser culture, DIY woodworking and current digital crafts, the resulting artwork is a quirky and intriguing critique of the allure and production of technology. The result is a distinctive range of musical and sculptural instruments that critique human interaction with computer interfaces and our increasing appetite for new and often disposable technologies. In the weeks leading up to the festival artist Jenny Dockett delivered a series of lead in schools workshops with Webster Primary School, Park View and Our Lady of Lourdes Primary teaching children about platonic solids, electronics and rapid prototyping before creating an interactive lantern installation from their contributions. The lanterns created were then returned to the children following the festival. Families were also able to visit the Bury Archives to make their own lantern with Jenny to take away. Jenny Dockett is an award winning artist and educator, studied Environmental Microbiology at the University of Aberdeen and has previously been featured at many high profile science and education festival programmes including the Orkney Science Festival and the Abu Dhabi Science Festival. Sorry for real is a virtual apology on behalf of the western world. Trying to provide an apology for slavery, colonialism, segregation, apartheid, exploitation and genocide of black and indigenous bodies, and the current heritage of the colonial matrix power that is capitalism, white supremacy, and hetero-patriarchy, the work questions the apology-forgiveness narrative. What is the function of an apology? Who benefits from the apology? What power structures are hidden behind our apologetic age? Why do we need an apology? Should the present apologize for the past? What about forgiveness? Can an apology ever be enough to move on? And what is the face of oppression today? Tabita Rezaire is a French - of Guyanese and Danish descent - video artist, health-tech-politix practitioner, and Kemetic/ Kundalini Yoga teacher based in Johannesburg. Tabita’s practices unearth the possibilities of decolonial healing through the politics of technology. Navigating architectures of power- online and offline - her work tackles the pervasive matrix of coloniality and its affects on technology, sexuality, health and spirituality. Through screen interfaces and energy streams, her digital healing activism offers substitute readings to dominant narratives decentering occidental authority and preaches to dismantle our oppressive white-supremacist-patriarchal-cis-hetero-globalized world screen. Tabita is a founding member of the artist group NTU, half of the duo Malaxa, and mother of the house of SENEB. She is represented by the Goodman Gallery in Johannesburg. In 1954 a Joint Committee of the House of Commons and House of Lords was called to consider homosexual offences and prostitution in society. The subsequent Wolfenden Report documented their findings and recommended that ‘homosexual behaviour between consenting adults be no longer a criminal offence’. Polari was a secretive language of the homosexual subculture which was predominantly prevalent among men in the 1960s. At a time when homosexuality was still taboo, the language provided gay men with a means to communicate exclusively and separately from suspicious eavesdroppers. Wolfenden by Jez Dolan combines the official language of the report with Polari and highlights the differences between the public political voice and the hidden expressions of the gay community. 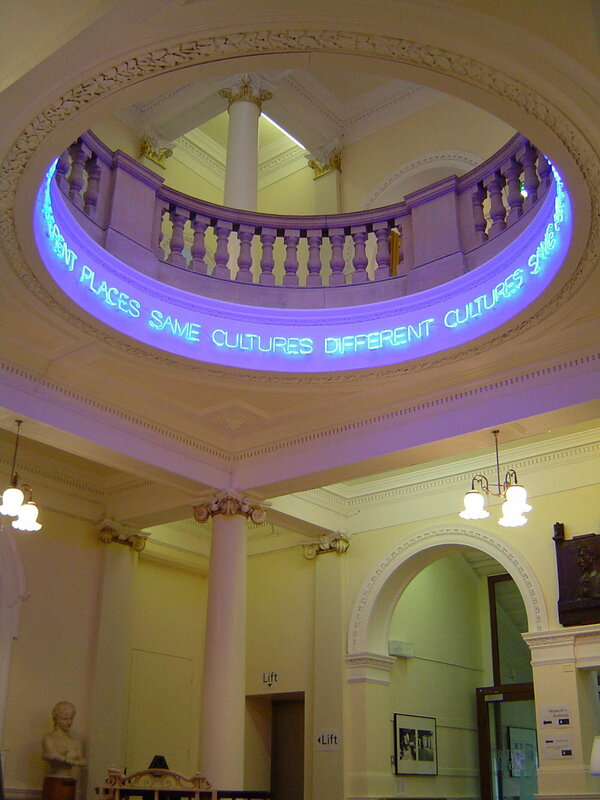 Originally commissioned by the Houses of Parliament this light installation projecting the Polari text onto the walls of Bury Art Museum is part of his ongoing residency 60/50. Since February, artist Jez Dolan has been in residence at Bury Art Museum undertaking an ongoing series of artist-led interventions in the Permanent Collection Gallery entitled ‘60/50’. The project title refers to the significant anniversaries of 2017; 60 years since the Wolfenden Report recommended the decriminalisation of sexual relations in private between men, and 50 years since the Sexual Offences Act executed partial decriminalisation. Two of the most important milestones in UK LGBT+ emancipation and legislation. Both of these had significant impact around the world. During his residency, Dolan has exhibited his own related work and has worked with the permanent collection at Bury Art Museum, creating a series of interventions from a queer perspective, drawing new parallels and casting new light on overlooked aspects of the collection, which celebrate and commemorate the queer histories which often remain concealed. Jez Dolan’s practice is interdisciplinary, project-based and research-driven. He utilises a range of media accord- ing to the specific needs, demands and context of each project. 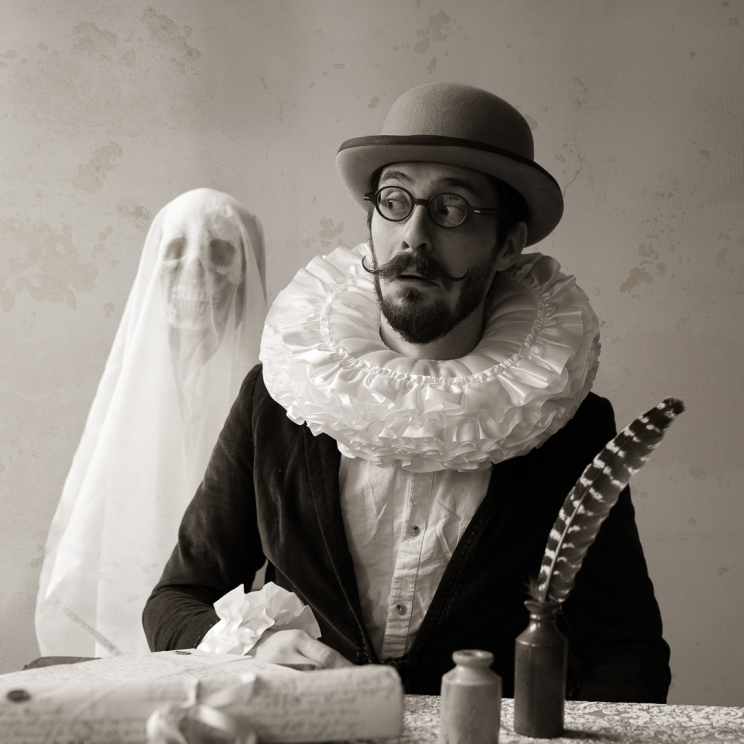 He is currently working with printmaking, photography, performance, installation and curating, whilst explor- ing the creation of new works from archival sources, through which we recall and revisit individual and shared memories and histories, often through the use of text as both visual presence and mode of communication. He is interested in researching Queer identity; histories, heritage and personal archives, and how we place these, and ourselves in the wider world. Events and experiences always leave behind a trace or residual mark of their occurrence and it is these traces, marks and events which Jez is interested in exploring, expressing these ideas through a process which is performative, collaborative, and celebrates the physical act of ‘making’. Artists Hannah Ayre & Amanda Yates create atmospheric UV environments that lit up the streets at Enlighten Bury 2017. 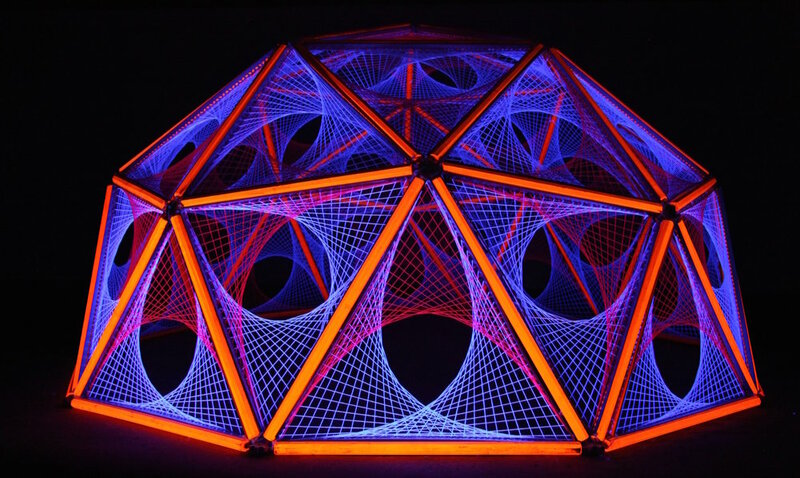 Parabolas delivered immense UV geodesic structures that blur the lines between art and mathematics at a stunning scale. Hannah Ayre is a participatory artist working with audiences where the boundaries between art, craft, perfor- mance & collaboration are blurred. Works range from small craft items to large scale outdoor sculpture, installations, performance and events. The materials she uses vary widely including ceramics, textiles, found materials, though the common thread in her work is collaboration. Work may be realised through collab- oration with fellow artists, with the input of volunteers or through workshops with formal and informal learning groups. Ayre’s projects often take place in unconventional settings, by taking the work out of the gallery removing some of the barriers to participation. Amanda Yates origins are in illustration but with 19 years experience of developing and implementing creative projects with communities, schools & businesses has enabled her to evolve a diverse portfolio ranging from animation, exhibition curation to 3-D sculptures, smoothly blending the lines between academia and the creative process. Working as an Educational Artist in Residence, her projects are closely cultivated with the whole school as a community, working with children, families and staff to create unique opportunities for schools to work alongside artists, galleries and societies. Parabola have been developed with our partner SPECTRA Aberdeen and with the help of numerous volunteers. Huge thanks to all that have assisted developing the works. Since the mid-1960’s Maurizio Nannucci has been one of the leading figures of European contemporary art. His work explores the interrelations between language, writing and visual images, and employs a wide variety of medium. Poco Apollo is a generative music piece by Icelandic musician/programmer Halldór Eldjárn. It is built upon NASA’s Apollo Space mission photo archive: around 15.000 photos taken on earth and in space. Poco Apollo generates musical soundscapes for each image in the library. It uses common computer vision algorithms to determine the mood of the picture as the input to the music composition engine. I created the piece to open up this incredible photo library. The mood in the pictures is somewhat unusual as some of them quite casual unlike the most famous and polished pictures we are so used to seeing, from these missions. Some are even quite bad, but still they are taken during one of the most incredible journeys mankind has embarked upon and thus become mysterious and exciting. The web app selects pictures at random and the browser then starts playing the soundtrack for that picture. Poco Apollo is accessible online at http://bit.ly/PocoApollo. A live performance of a handful of these songs took place on during the festival. Daníel Helgason guitarist will joined Halldór at Bury Art Gallery to interpret the songs along with the self-playing robotic harp. Halldór Eldjárn is an Icelandic drummer/musician/programmer. His live show consists of live performing robotic instruments which he has built, his brother Úlfur Eldjárn on the MIDI-based saxophone, synthesizers and all nicely tied together with Halldór's live drumming. Soundscape-y electronic tones, yet rhythmic. Guaranteed to blow minds and soothe ears! 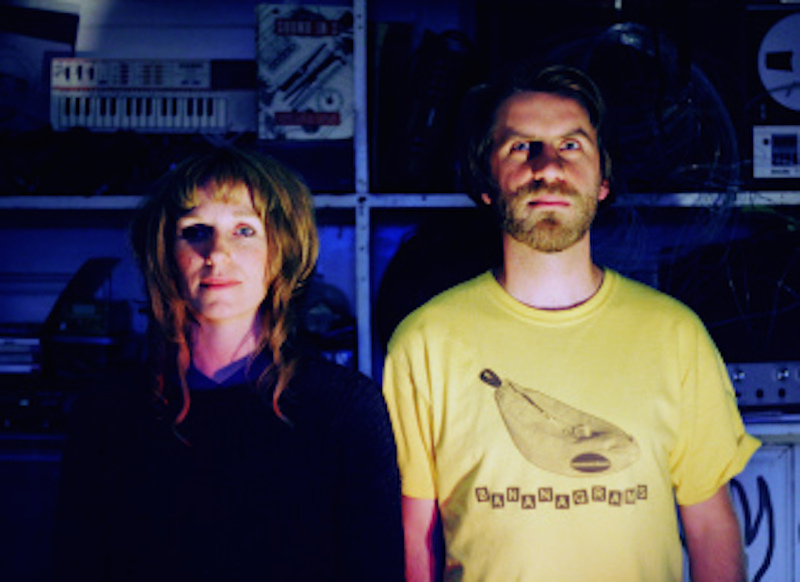 Halldór's other projects are most notably the electro dance band SYKUR, which he founded in 2008. Úlfur is an active soundtrack composer, performer and member of the Apparat Organ Quartet, and played with the legendary alternative/krautrock band KANADA in the early 2000's. An EP is scheduled to be released late 2017 alongside with further live stunts. Halldór Eldjárn is working with Curated Place with the support of the Nordic Council Of Ministers as part of the ongoing 'Handmade Sounds' programme. Based on ancient ballad melody through lost until it was rediscovered in 1947, and reimagined in contemporary form, this is a timeless tale of the power of music and light over shadow. Illuminos are brothers Matt and Rob Vale, who for over 10 years have been creating visually inventive, memorable projection artworks and experiences. Their works ranges from very large scale illumination to small scale imagery, but always working to create something unique and specific to location and viewer. Formed around a principal of People, Site, Animation, and often combining elements of installation, dance, theatre, pyrotechnics and music, each project develops from an exploration of the emotions of an environment, aiming to capture the essence of a place, space or feeling as a shared moment of time. Fossil Optical originates from Bristol and is well known on the live music and festival circuit for melting minds at a staggering scale. Fossil optical are now renowned as a leader in analogue projection that hits with a punch far surpassing digital methods. Fossil Optical works with Pete Smith, a specialist in 16mm cine and slide projection, and they have recently collaborated with Pink Floyd projectionist and master inventor of lighting technology Peter Wynne Willson. Visitors to the festival were treated to stunning architectural effects from the brightest projectors in the world, cast across both The Rock and the Castle Armoury. 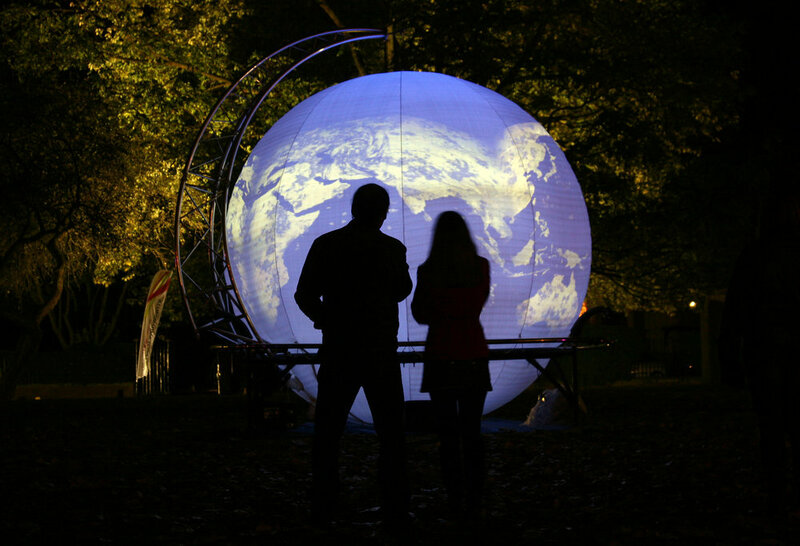 A four-meter high, 360˚ projection globe stood on Market Place in Bury centre, Lightweight invited the audience to have pictures of themselves mapped into live animations, which swarmed around the globe with movies, audio, graphic effects, pictures, text and even Tweets. Lit with intense translucent colours, projected video images, animations and visual effects spun magically around the outside of the globe with a multi-channel soundscape. Chris Squire is the co-founder and director of Impossible Arts (www.impossible.org.uk) - a well established participatory and digital arts organisation creating extraordinary experiences in everyday locations and developng innovative and high quality engaging, interactive and participatory arts projects mixing visual arts with digital media technologies. Based at The Watershed in Slaithwaite, West Yorkshire, Chris’ roots are in the performing arts having produced a series of strongly visual and richly musical touring performance pieces. Now having moved beyond theatre, his work is at the forefront of participatory events, digital technologies and installations. Using digital and visual arts approaches to create our participatory or interactive artworks. He regularly works in collaboration with leading artists and organisations from many disciplines and his work has been seen across Europe. Chris is a creative professional with over 25 years experience in producing a wide range of participatory arts projects and educational workshops. Unlike other artworks that we are advised to keep distance, this sculpture invited visitors of Enlighten Bury 2017 to touch it. With reference to the ancient cycladic idols, this black head is standing dark, like an extraterrestrial visitor, waiting for an encounter. In response, it will emit cold blue and violet light through hundred optical fibers that are fitted in its surface. At the same time a soundscape will be generated based on the movements of the hands that are touching the sculpture. As the visitor interacts and get connected with the artwork, a special algorithm is calculating the amount of engagement and transforms the lights to warmer red and orange colors. “Touch” is a metaphor on human and technology relationship. It is trying to explore the difficulties of human- machine interaction. A simple interaction like touch is sometimes very difficult to achieve. People may hesitate to touch the sculpture (especially in a gallery-exhibition environment). When they finally do it, some may feel uncomfortable by the sculpture reaction and other may feel attracted and charmed. After so many interactive devices that surround us in everyday life, how used are we in a human-machine interaction? Yiannis Kranidiotis is new media artist and musician whose work explores the relationship between light and sound by creating spaces and experiences where both coexist and interact. He is also interested in investigating the inseparable relationship between science and art. This requires a cross-disciplinary work with sound, visual arts, coding, electronics and physics. 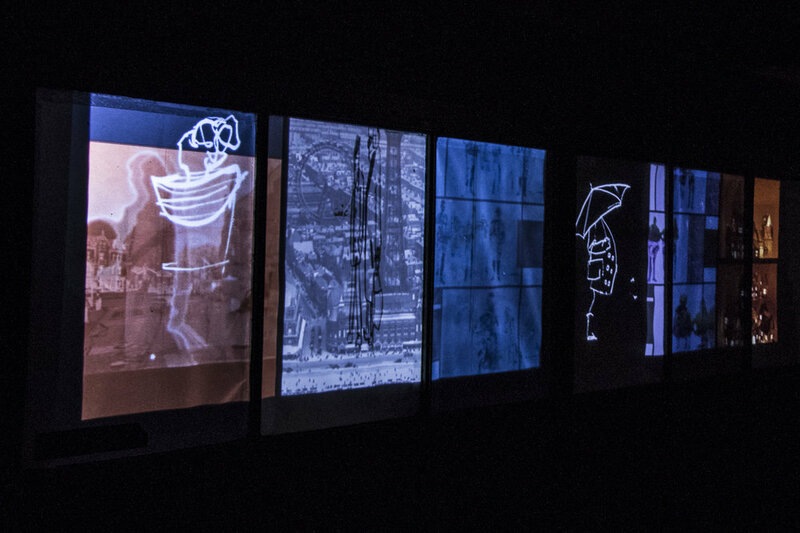 His work has been presented in many festivals and exhibitions like Made in NY Media Center (New York), B-Seite Festival (Germany), Rome Media Festival, ISEA 2016 (Hong Kong), ISEA 2015 (Vancouver), MADATAC (Madrid), Lumen Prize Global Tour, Athens Digital Arts Festival, Onassis Cultural Center (Athens), LUNDA Gallery (St. Petersburg, Russia). Many websites and magazines have published articles about his work including “Google Cultural Institute“, “The Creators Project“, “Arduino.org”, “Gizmodo“, “Open Culture“, “Hyperallergic“, “Bigthink” and “Konstvärlden”. He has also composed music for short films and theatre. He has a BS in Physics from University of Partas and M.Sc. in Optics from Essex University. He lives and works in Athens. Kranidiotis was a 2016 participant in Curated Place's EU Culture Fund supported ENLIGHT network with Manchester School of Art, I/O Lab (Stavanger), and Fondazione Mondo Digitale (Rome). ‘Compositional Automata’ is a Curated Place commission supported by Arts Council England that combines research and development, live performance and festival platforms to complete the next step in the ever evolving project. Collaborating with seminal electronica group Plaid, Felix is developing a new dual functional machine that can be programmed by new composers and shown at festivals and exhibitions as a stand alone light and sound sculpture. The work was shown as an installation at Bury Art Gallery throughout the two day festival. On the opening night Felix and Plaid performed original new scores using the machines to create ambient mixtures of sound , light and machinery that dazzled the ENLIGHTEN Bury audience in the stunning gallery space. Felix Thorn builds machines for art installations, live performance, commercials, theatre accompaniment, and shop window displays. 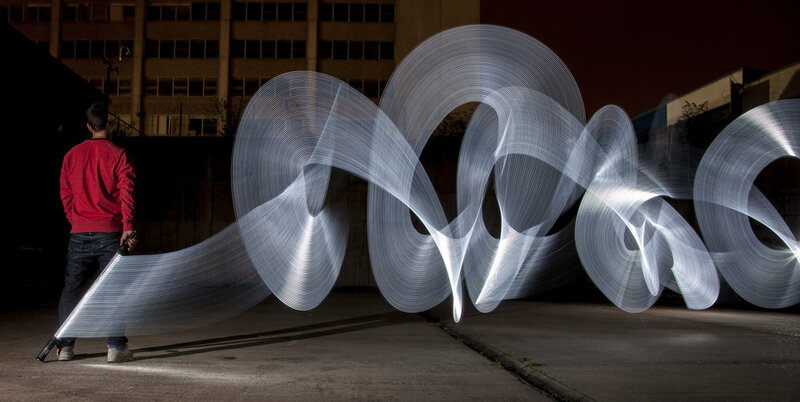 Felix specialises in de-constructing real-life objects and creating new experiences with movement, music and light. Felix's Machines were initially conceived in an experiment aiming to facilitate live music by transforming sound into a three-dimensional visual show. As an ongoing project, the music-performing machines built by Felix do not intend to match human potential. Instead they exist to test the advantages of mechanical instruments alone. The Reader by artist Stanza was displayed at Bury Art Gallery. 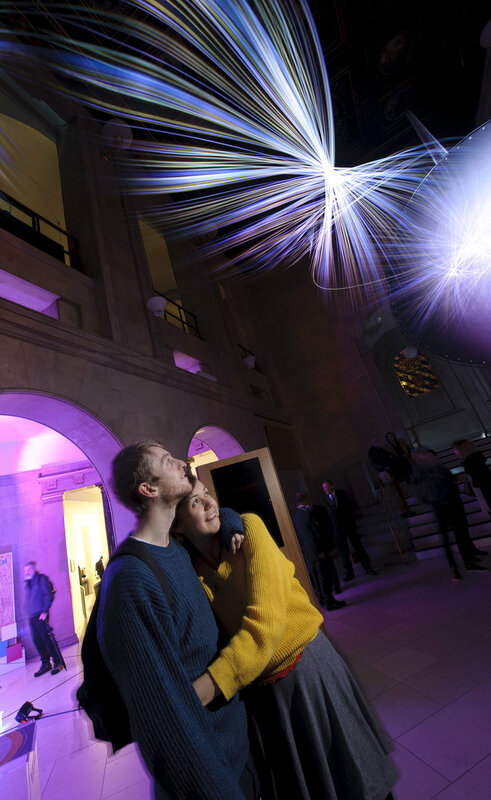 The sculpture is a pulsing algorithmic heartbeat of living data. It is made with custom made digital software and hardware generating live events inside the sculpture. The data body acts to reposition a future view of ourselves when embedded technologies will become part of our everyday lives. The artwork explores new ways of thinking about life, the emergence and interaction within public space, and how this affects the socialisation of space. It uses open data and new technologies to question audiences’ experiences of real-time events. We live in a world of infobesity, we are bombarded with information that is made malleable and shaped to give it meaning. Stanza is an award winning London based artist whose practice includes installations, netart, public art, generative data driven art, paintings and prints. His work has been exhibited at the Venice Biennale, Tate Britain and the Victoria and Albert Museum. ‘Nomad’ is a light and sound installation born from the Arts Council England and Curated Place supported ‘Collective Collaborations’ project which brings together three separate artist collectives from Bury, Aberdeen & Blackpool to create new work. The installation looks at the transitional movements of the artists as they move from location to location for their 6-month project and focuses on the nomadic qualities of the traveller and what they take and leave behind on their journeys. Aptly located at the Transport Museum, the installation brought together work from the award-winning artists. Audiences were treated to a sound and light experience that was installed at an old bus stop in the yard. 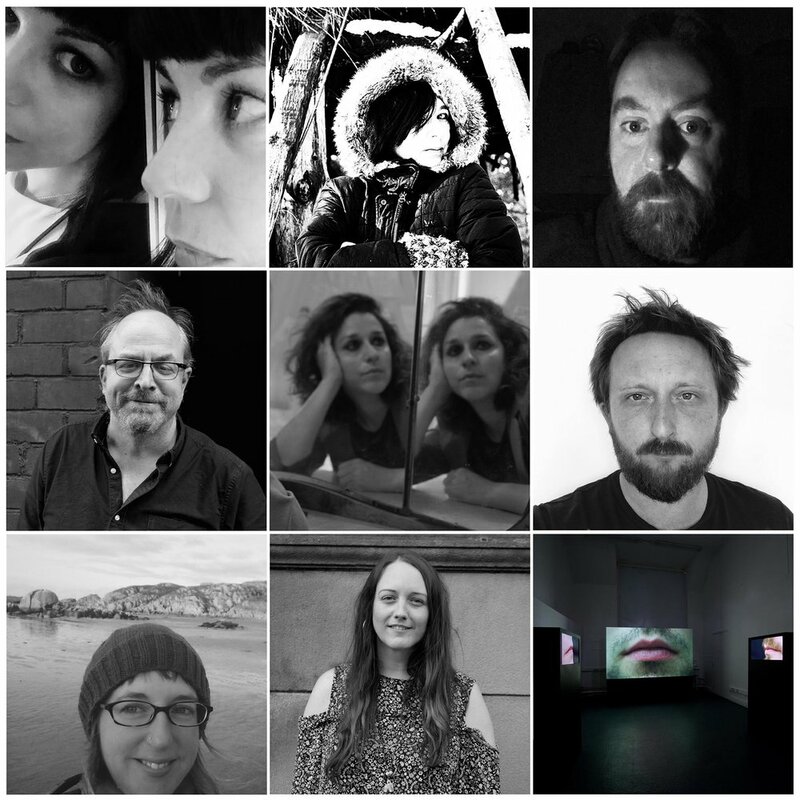 Find out more about the individual artists (L-R, top-bottom - Ann Carragher, Fiona Soe Paing, Sean Payne, Lee Crocker, Sara Stroud, Stephen C. Nuttall, Hannah Ayre, Gina Warburton, Matthew Wilkinson) over on the Collective Collaborations page. Light Harp is a collection of kinetic light sculptures that create analogies to the played string of an instrument. The style of playing can be thought of as a drone, a long continuous sound or rather its visual counterpart. Instead of a sounding box, Friedlander uses sympathetic strings arranged in semi parallel fashion attached to the base cord rising vertically or at other angles spreading out around the space. Lit with Friedlander's own invention, the Chromastrobic light, the amplitude of the waves will appear as a translucent volume swept out in space by the vibrating movement. Deceiving the persistence of vision this lightwork must be seen to be believed. Paul Friedlander is a scientific artist and a light sculptor with a degree in physics and maths from Sussex University. His works use persistence of vision, a property of how light is perceived combined with movement to create a three dimensional kinetic body of light in sculptural form that is both beautiful and interactive. Paul has exhibited internationally at numerous art and science museums and festivals spanning four continents and fifteen countries. Helmut Lemke is currently Sound Artist in Residence at the Bury Art Museum & Sculpture Centre. In February 2017 he moved everything associated with his art practice of more than 40 years into the Basement of the Fusilier Museum to work on his project LISTEN BACKWARDS to ADVANCE (LBtA). In LBtA Lemke investigates a 40 year career in sound art as a durational public performance through objects, photos, videos, sound recordings, writing, publications, drawings, and soundmachines. Helmut has created a publicly accessible Archive (1977 -2017) over the course of the project that is open to the public as a performative event and ongoing exhibition. Helmut has also launched an online Radio program from his base in Bury. On Wednesday 18th October before the launch of Enlighten Bury, he live-broadcasted a show focusing on the festival with guests Andy Brydon, director of the festival, and other artists from Enlighten Bury. To find out more about LBtA visit Helmut's website. For Enlighten Bury Helmut created a series of installations in the basement of the Fusilier Museum titled ‘echoes of distant installations’. In this Installations Helmut revisited sound installations, objects and performances from his career spanning 1985 until today. Until Nov the 17th the Installation will be open Tuesdays & Thursdays from 11-4 or by appointment. Helmut Lemke is a German sound artist who moved to the UK in 1996. Since he started his journey into the world of sound more than 40 years ago, Helmut Lemke has investigated sounds that are around us, some are obvious, some are familiar, some have to be found… and he has performed and exhibited process based work responding to his investigations. Imagine you have a plastic bottle…. You fill it with water and you hang it upside down…. Events like this drive Helmut’s curiosity. His international, and enthusiastically ecumenical practice, has lead him to work everywhere from the frozen seas round Greenland, to a palace in Venice for the 55th Biennale. Along the way he has collaborated with other Sound Artists and Musicians, with Dancers and Scientists, Visual Artists and Architects, Poets andArchaeologists, Performance Artists and Wildlife Rangers. Since 1995 he has taught at art academies & universities in Germany, France, England, Finland, Thailand. 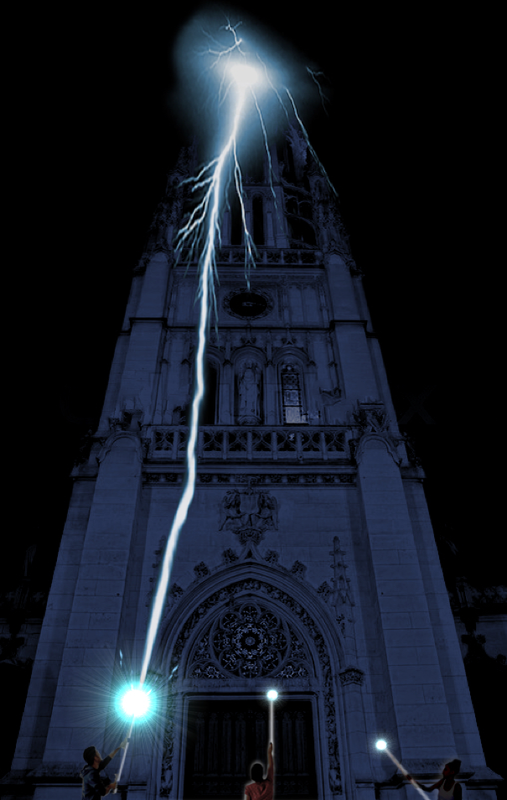 A brand-new Curated Place commission in cooperation with SPECTRA Aberdeen, Seb Lee Delisle's Lightning Catchers is a large scale laser-projected interactive experience that invited visitors to catch bolts of lightning jolting from the tower of Bury Parish Church. Holding the lightning rod in the air pointing towards the night-sky, players would anticipate the lightning strikes. Tendrils of sparks start appearing at the top of the building, followed by a huge bolt crashing down towards players. Seb Lee-Delisle is a digital artist and speaker who uses computers to engage with people and inspire them. As an artist, he likes to make interesting things from code that encourage interaction and playfulness from the public. Renowned magical explorer, goblin scientist and storyteller Professor Jigget is searching for the Light Fantastic – the source of all inspiration, adventure and nonsense. He was joined by Wizard Humbringer, Rave Witch and Pie-Face Face Painters for Enlighten Bury 2017. The group captured audiences during the festival with their creative adventures and created a playful atmosphere at the Library Gardens. Led by Dr Oliver Bishop, Yan Tan Tethera love stories. They are powerful things. They believe in using this power to strengthen both children's and adult's understanding of their heritage, their environment, and their own capacity for imagination and creativity. This is achieved through the three core Yan Tan Tethera services - storymaking and sharing workshops, storytelling performances, and environmental interpretation. A regular Curated Place collaborator they have been creating magical experiences since 2014. NOISE Orchestra's installation utilised code controlled fluorescent lights that turned on and off at random intervals, these bursts of light created trigger pulses which sparked up electromagnetic noise circuits, creating a multi-layered collage of light and noise. The installation consisted of improvised electrical hums, pulses, pops, clicks, static electricity tones and 60Hz hum that became at times rhythmically and texturally spacious, and at other times dark, frenetic and dense. Noise Orchestra performed with the circuits throughout Enlighten Bury 2017, installed in the Archives of Bury Art Gallery & Museum the artists created an extended audio improvisation that explored chaos, chance and human-machine interaction. 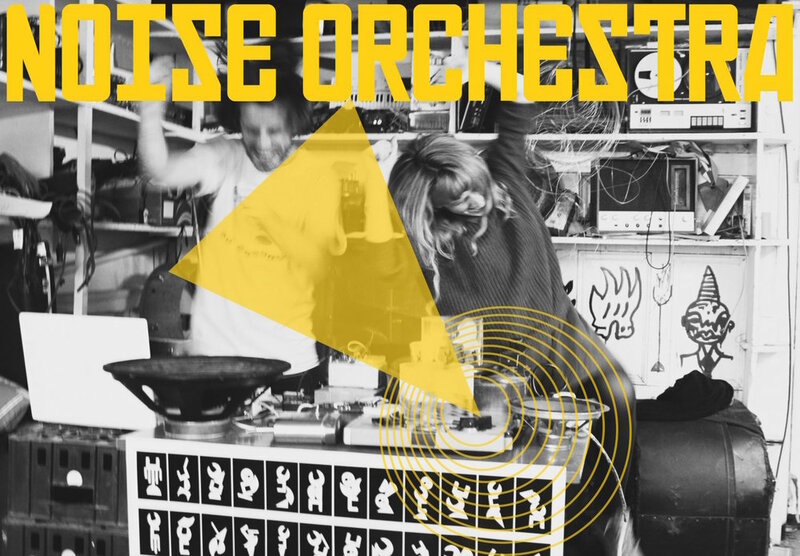 NOISE Orchestra are sound artists Vicky Clarke and David Birchall; we use light, analogue electronics, turntables and graphical scores to turn images and objects into NOISE; a process called graphical sound. We are interested in the exploration and interplay of light, materials and sound and our practice operates at the intersection of art, experimental music and technology. The duo are one of three artist groups selected for our 2017 ENLIGHT (European Light expression Network) residencies in the UK, Norway and Rome.